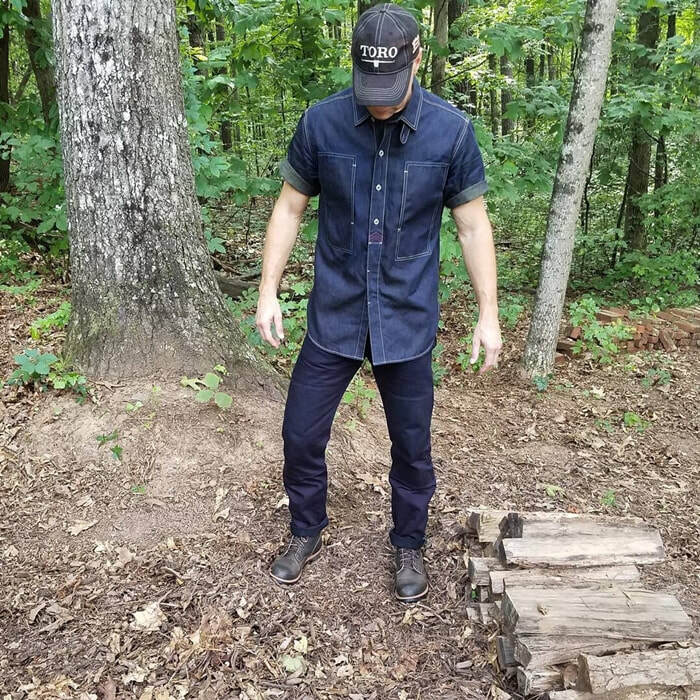 Dave’s Instagram @ruggedworkwear started out as a way to monitor his eldest son’s account, but now it is turned into a big Instagram account in the denim community. 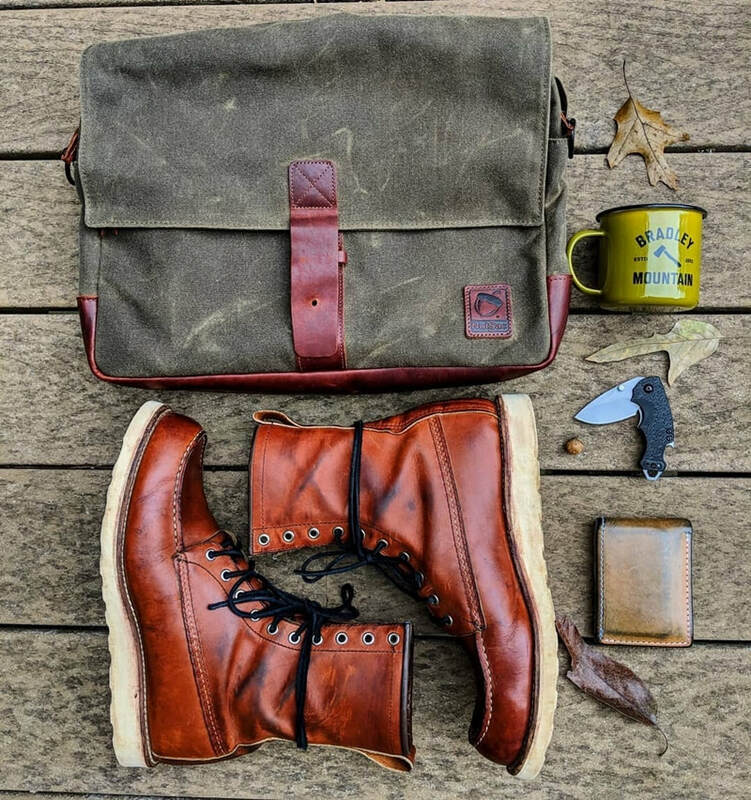 His love for denim stemmed from wearing Red Wing boots during his construction work. He is truly a unique individual, and now let’s learn more about his story. 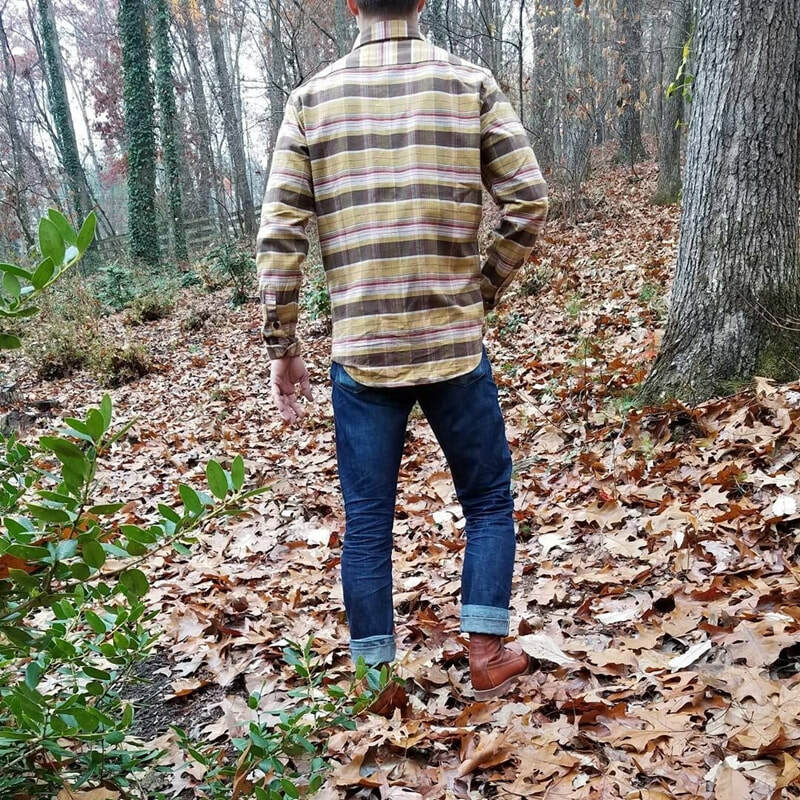 I am a boot and denim enthusiast that has been tinkering on Instagram for about 3 years. Before that I tinkered on style forums like… Styleforum. I am married with three kids ages 7, 11, 13 which keeps me extremely busy. 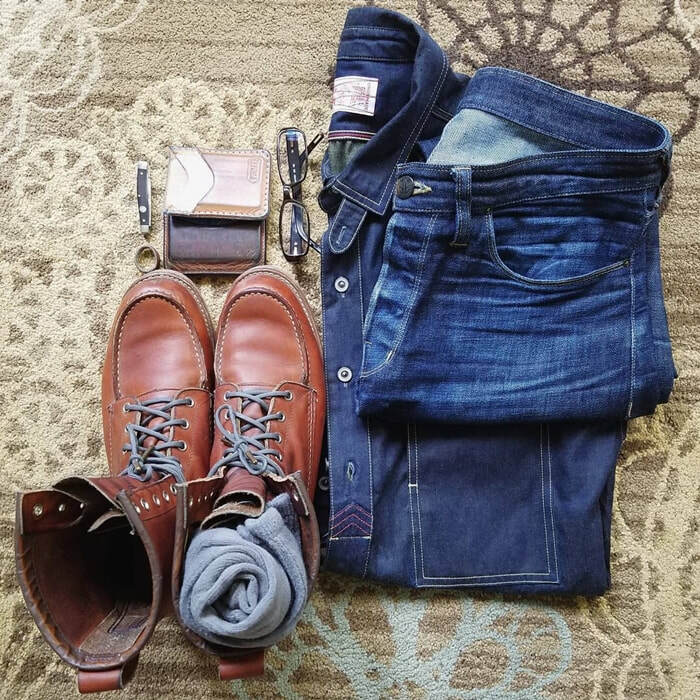 My day job is office work at a fortune 500 company which pays the bills, but I’m very fortunate in that attire at this business on most days is casual attire… Which allows me to wear denim almost every day unless I have executive meetings. 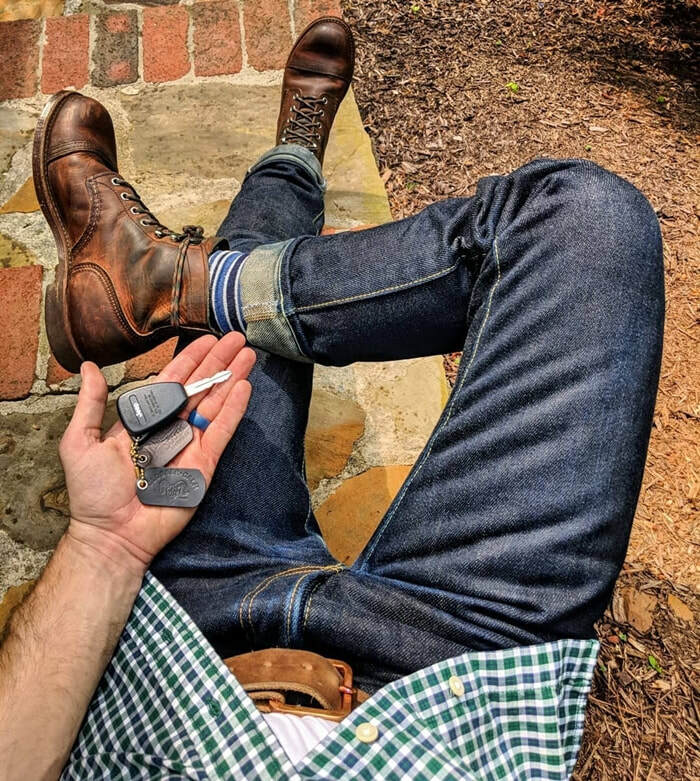 Besides office wear of denim, I do a lot of work outside and home projects in my denim which helps me bring in the fades. I am 44 years old. I grew up in Midwest USA and lived there all my life until about two years ago when I moved to Southeast USA in the state of Georgia. I grew up in a rural area and when I was in college during the summer months I did construction work with my father to save up money for the school year and to pay my way through school. ​I have had a lot of dirty jobs and this was definitely a physical dirty job. While doing construction work I wore Red Wing boots and this is sort of how my denim enthusiast passion began. 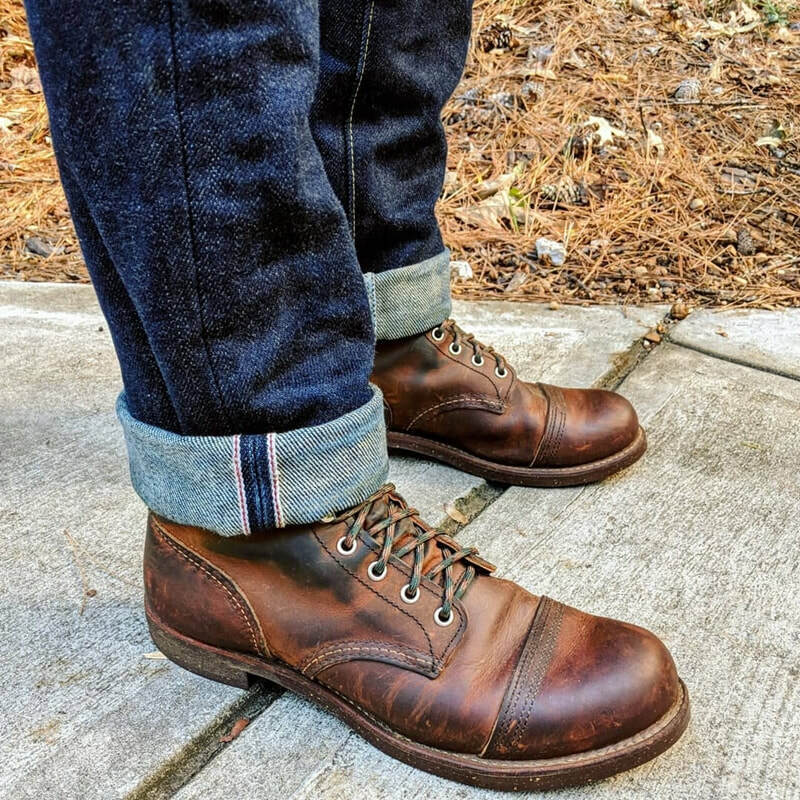 Stemming from my boot hobby I got into raw selvedge denim (what goes together better than denim and boots? Nothing!). How did you start Instagram? As mentioned, I have three kids. When my oldest child got his first ipod (with internet access) he started an Instragram account. I originally went on Instagram to monitor my son’s activity. But I quickly noticed all of the denim and boots pictures, which are awesome. From there I became a very avid involved community member of the denim and boots genre on Instagram. What does social media/Instagram mean to you? I think most social media I am not really a fan of. Not a big fan of facebook other than it allowing my family to see pictures of my family from afar. I don’t follow Twitter. Don’t really use Reddit. Style forums are OK but people tend to be kinda rude on forums. 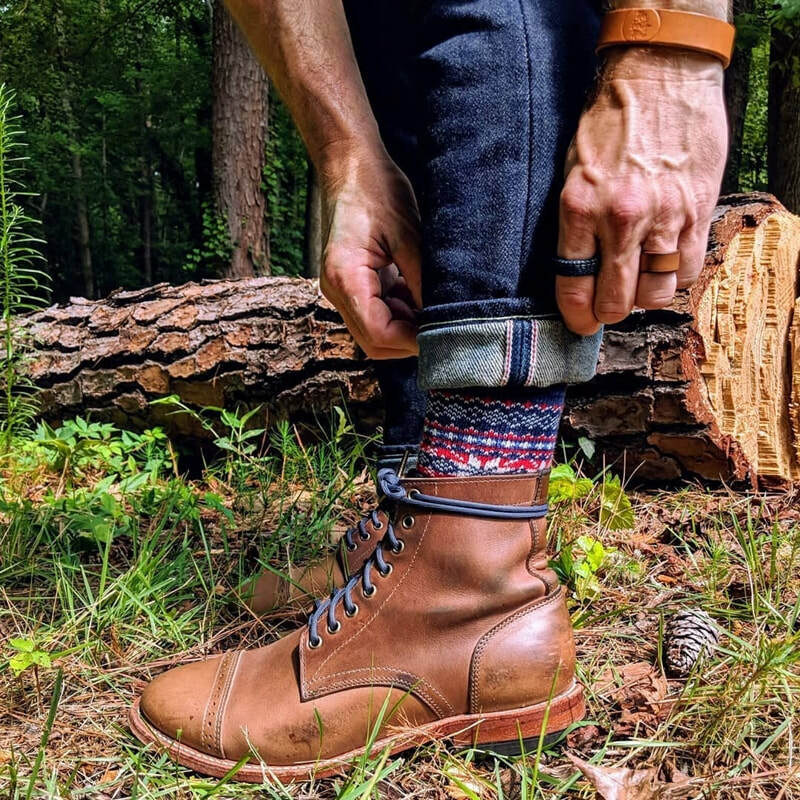 On Instagram, especially the denim/boot community, there is a very good vibe with almost all people being very nice and open to everybody else’s style. It’s quite refreshing and easily the most fun online community I’ve been a part of. I’ve met friends through Instagram and this hobby and it’s a great social outlet for me besides my enthusiasm for denim and boots. So basically, Instagram to me is an outlet for my style and also a great social community experience as it relates to denim and boots. Any interesting encounters through social media? Very positive interesting encounters like meeting fellow like-minded enthusiasts and literally daily discussions with denim and boot enthusiasts. I’ve been on some blogs and I’ve done a podcast about this hobby – I consider all of that really fun, positive, and cool. I have lots of people message me interesting conversations. Some borderline strange or very strange. I’ve had to block some people that are a little too interested in me. Any message that you would like to share with our audience? Rock your style. Be you. What’s most important is that you love your own style and that it makes you feel good.